Have you been diagnosed correctly? Find out if you’re a candidate for TMJ treatment. 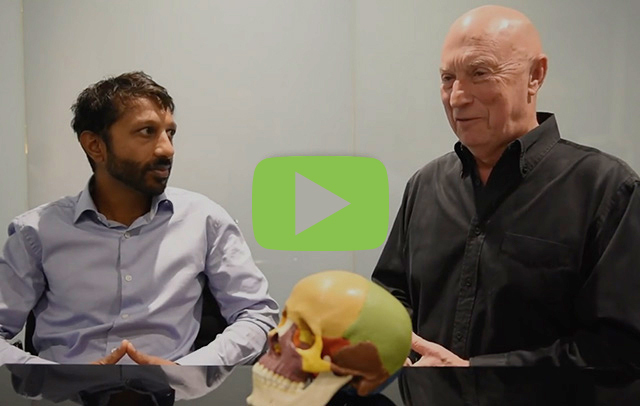 TMJ Centre Melbourne is your TMJ Dentist and TMJ Chiropractor dedicated to resolving chronic jaw, face, head and neck pain via holistic TMJ treatment options. Unlike any other TMJ clinic in Australia or the world, TMJ Centre Melbourne combine Dental and Chiropractic services to help achieve optimal treatment outcomes for patients. 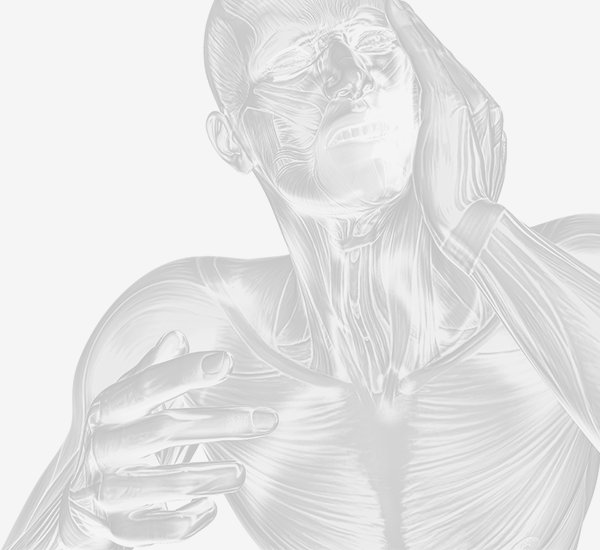 Our Doctors at TMJ Centre Melbourne have over 50 years’ combined experience. 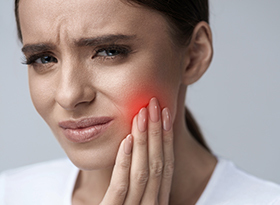 The connection between Dental and Chiropractic treatment for TMJ concerns is realised through the experience of our Doctors and outstanding patient results. Our TMJ doctors combine years of experience and knowledge to help you deal with jaw pain. Learn why your jaw’s giving you problems, and what you can do about it. If you want nothing more than to enjoy a restful sleep, we may have the solution for you. 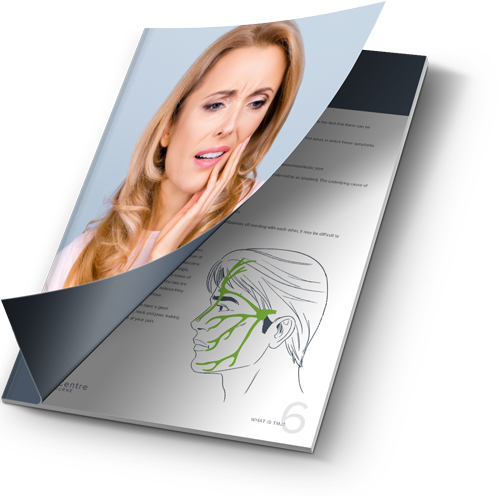 Fill out our short questionnaire to see if you are a candidate for TMJ treatment. Melbourne’s Unique TMJ Dentist and Chiropractic team offering 50 years of Experience in treating Jaw, Face and Head pain. TMJ syndrome causes pain, discomfort and restricts the movement of your jaw and the surrounding muscles. If the TMJ is not functioning the way it is supposed to, it can lead to the development of TMJ Syndrome. People who don’t seek treatment for their TMJ symptoms can sometimes develop severe problems like fatigue and depression. Some of the common symptoms of TMJ syndrome include clicking and locking of the jaw, jaw pain, headaches, and neck pain. Instances of TMJ syndrome and its causes may differ from patient to patient; however, some of the most common causes include trauma to the TMJ through physical injury, misalignment of the teeth and/or jaw, clenching or grinding of the teeth, or stresses of other areas of the body – most commonly in the head, neck and back. How TMJ syndrome is treated depends on the severity of the case and what the cause, or causes are. Treatments such as bite guards, orthodontic adjustments, physiotherapy and chiropractic adjustments have been successful in the past. Combining dental and chiropractic practices, we take a collaborative and holistic approach to finding the cause of your TMJ and treating it accordingly. Essentially, sleep apnoea is a condition that causes you to stop breathing during the night, which causes your body to jolt you awake in order to kick start your breathing. This all happens without you consciously waking up. When this happens, you will often wake up feeling tired, lethargic and fatigued. When sleep apnoea is not treated it can lead to a number of more severe health problems. Aside from daytime fatigue and lethargy, the most common symptom is snoring. Although it should be said that snoring is not indicative of sleep apnoea, only one more symptom. You can, of course, snore and not have sleep apnoea. Other symptoms include poor concentration, morning headaches, depressed mood, night sweats, weight gain, fatigue, forgetfulness, sexual dysfunction and nocturia. Many clinics prescribe CPAP machines, which are worn whilst sleeping and create constant airflow to the lungs for patients with sleep apnoea. Many patients find CPAP machines uncomfortable and choose not to continue using them shortly after beginning treatment. For this reason, at TMJ Centre Melbourne we use a Mandibular Advancement Splint as a comfortable and effective alternative to a CPAP machine. Headaches are often a symptom of TMJ, including sinus type headaches, tension and migraine headaches. The link between the TMJ and trigeminal nerve often cause these types of symptoms, however, other causes include muscle fatigue, postural changes due to inflammation and fatigue, and referred pain from the surrounding nerves. Diagnosing the exact cause of your headache is the first step in your treatment. 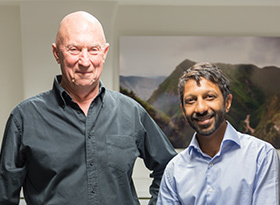 Once diagnosed, Dr Shah and Dr Dowker with work together to treat the symptoms and causes holistically, whether they be due to issues related to oral function or neuromuscular disorders. For a functional jaw and straight teeth. Dr Shah is experienced in treating patients who have orthodontic concerns related to the function of the jaw. Functional jaw orthodontics can help by idealising the jaw size and position as well as the head position over the neck and spine. This helps to maintain a clear airway and ensure the TMJs are stable. Although orthodontics will help to create beautifully straight teeth, the concerns of our patients often expand beyond this. We regularly treat both adults and children with great success. This type of orthodontics also belongs to the non-extraction school of orthodontics—the only teeth not strictly necessary are your wisdom teeth. After that, all your teeth are necessary—and not just to your smile, but also to your jaw, jaw joint and airways. This isn’t meant to scare, merely to educate on the importance of teeth to your whole face and head. An 0% interest finance plan for treatment. Denticare offer patients a finance plan at 0% interest on the remaining balance of the treatment, after a deposit has been paid. Night & Day Orthotics Program is $6810. The deposit paid first is $2640 and the remaining balance to finance is $4170. $4170 can be paid back over 12 months = $347.50 per month. By agreeing to a Denticare finance plan, the patient enters an agreement with Denticare for the monthly amount due to be deducted from their chosen bank account, credit or debit card. The paperwork involved is quick and easy. Plans are granted if the patient has a job or has somebody (such as a family member) who can stand in as the person responsible for payment. Confirmation and acceptance of the payment plan usually takes a couple of days. If the patient does not finish their proposed program and they have borrowed money from Denticare, we work out how many appointments they have had and what that would normally equate to if they were paying us as they go. We would then instruct Denticare to cease payments once that amount has been reached. This means the patient only pays for what they have had.